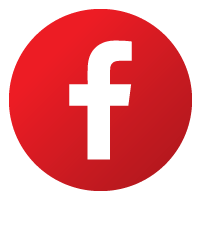 CPC Statement on Slab Protection by Others – Curecrete Distribution, Inc. 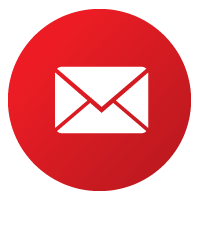 Recently, the Concrete Polishing Council (CPC) of the American Society of Concrete Contractors (ASCC) published a position statement on slab protection during the construction process. For concrete polishing contractors, this statement helps to clarify exactly who is responsible for protecting the slab post-placement and post-polishing. It is important to note that because of the nature of the concrete polishing process, it is usually not possible for applicators to be on-site to maintain the floor. 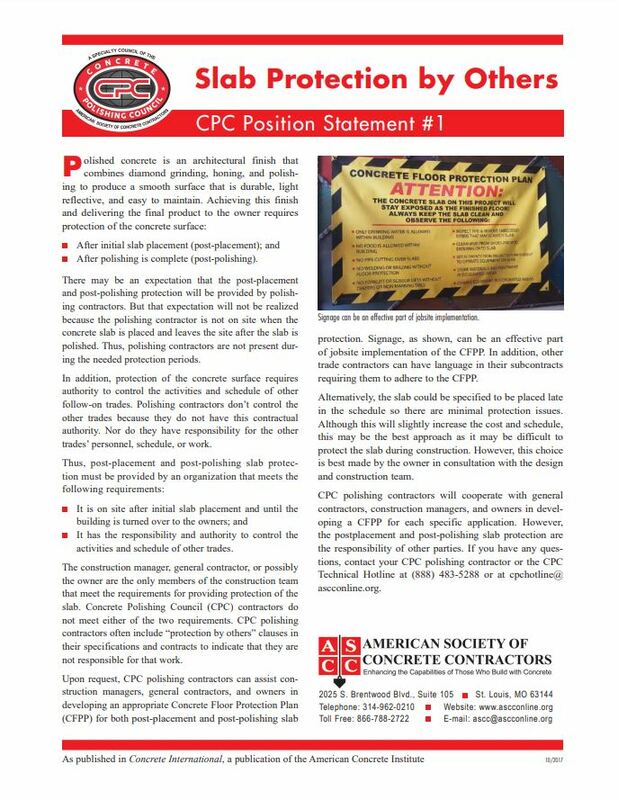 Therefore, the CPC encourages applicators to work with construction managers, general contractors and owners in developing an appropriate Concrete Floor Protection Plan for both post-placement and post-polishing floor protection (Position Statement #1 – Slab Protection by Others – provided below). Having a protection plan educates both the owner/contractor on how to best care for their floor during the construction process, while giving applicators the opportunity to set realistic expectations and mitigate risk. 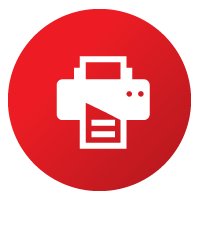 Curecrete encourages all of its RetroPlate sales representatives and applicators to review the CPC’s position on slab protection and apply its core directives where it can best serve the needs of both the applicator and the owner.